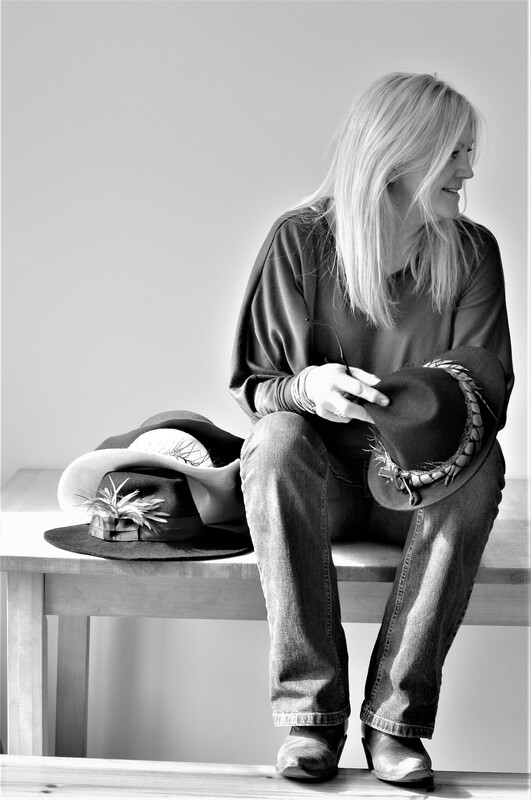 I have always been passionate about hats and headwear. A fabulous hat can turn an outfit into something quite spectacular. I design and create individual hats and headpieces for every occasion using traditional methods with a modern edge. 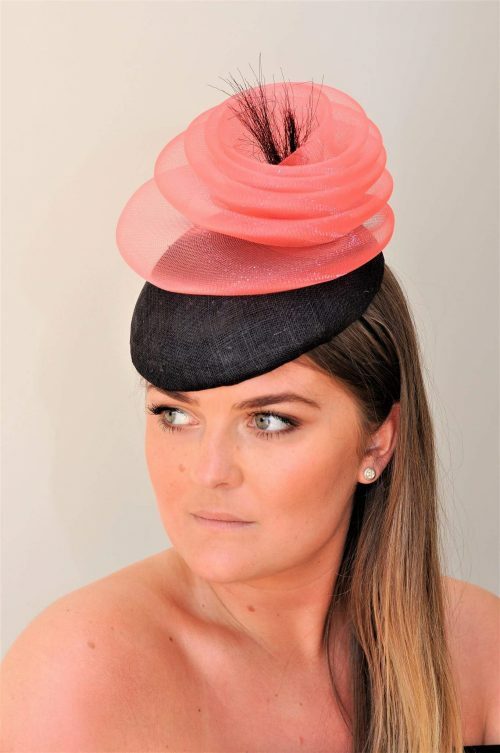 I have trained with Rose Cory, milliner to the Late Queen Mother and use quality materials and skills to ensure every piece has an element of individuality and style. If you are interested in any of the items on the website, would like any of them in a different colour or variation to the design, then please email or call. If the item has been sold then I can recreate you something similar. Would you like something specific, something completely bespoke? Call or email me to make an appointment to discuss further. 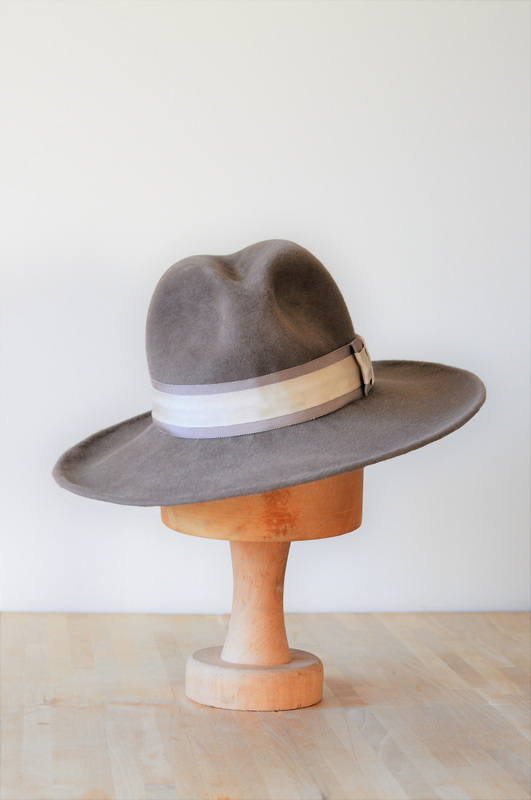 CALLA ~ £135 ~ Brown fedora in pure wool felt. 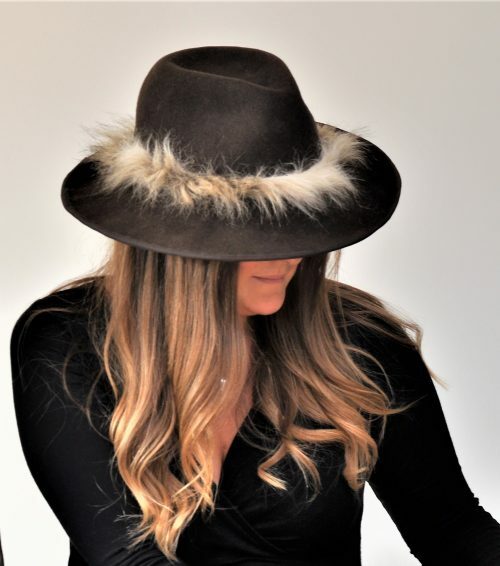 This simple style is perfect for that everyday winter hat, seen here with a funky fur trim. 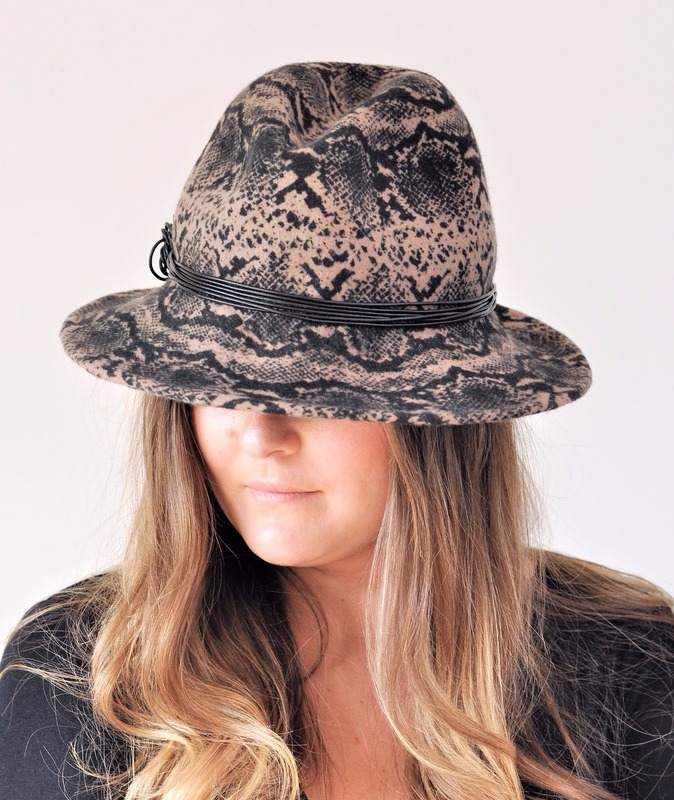 TIGI ~ £155 ~ Dark brown fur felt fedora with a simple but stylish band of faux fur animal print ribbon. SORREL ~ £125 ~ Fabulous red, short brimmed trilby with asymmetric detailed crown, black leather trim and that essential feather trim. Can be made in a variety of colours, contact me for details. 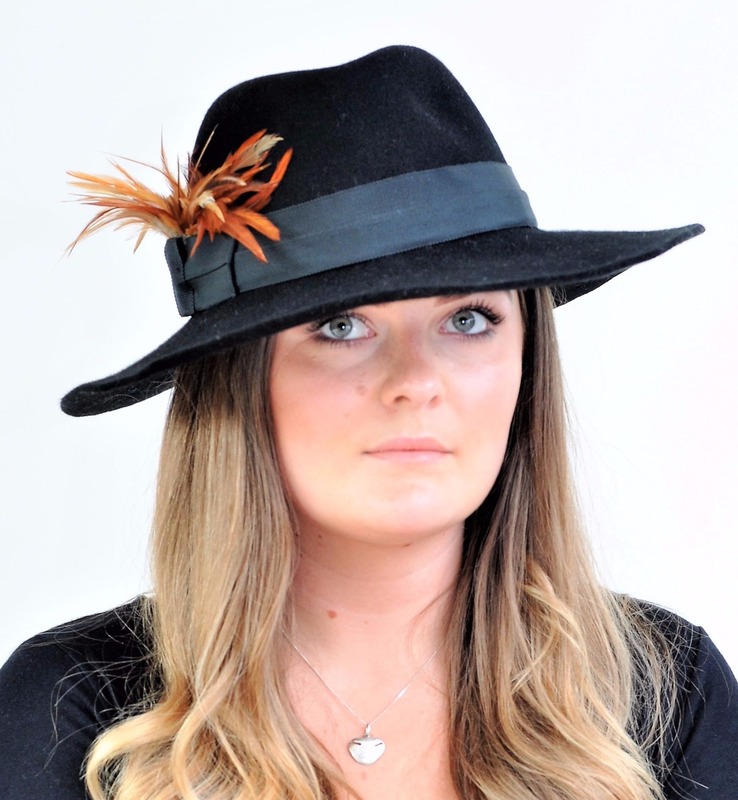 DANICA ~ £155 ~ Black fedora in soft fur felt with rough edge soft brim and ginger feather trim. Can be made in a variety of colours and trims, contact me for details. 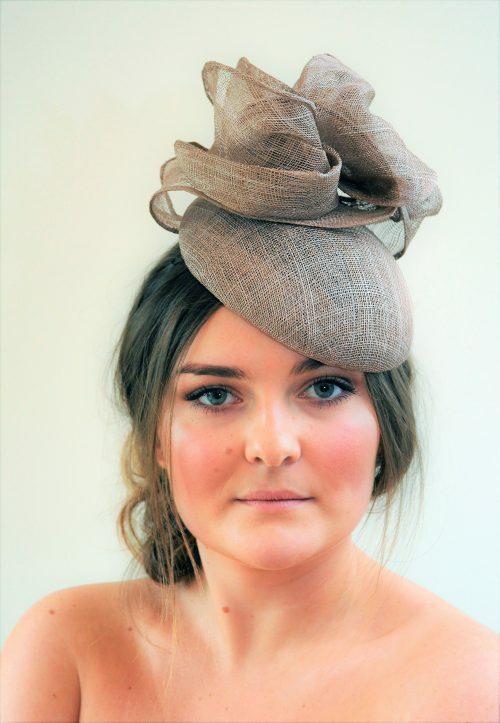 LAUREL ~ £165 ~ Beautiful light beige beret in soft wool felt. 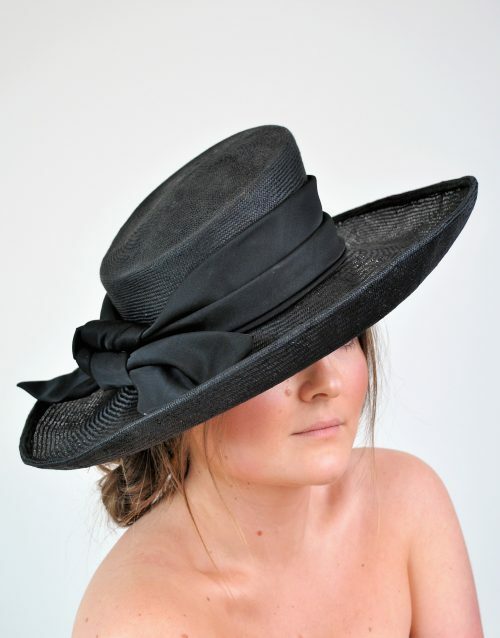 This stunning piece is trimmed with a matching felt bow and stylish black veiling. WILLOW ~ £155 ~ Gorgeous jewel purple hat with a trilby style crown and floppy unfinished edge brim. 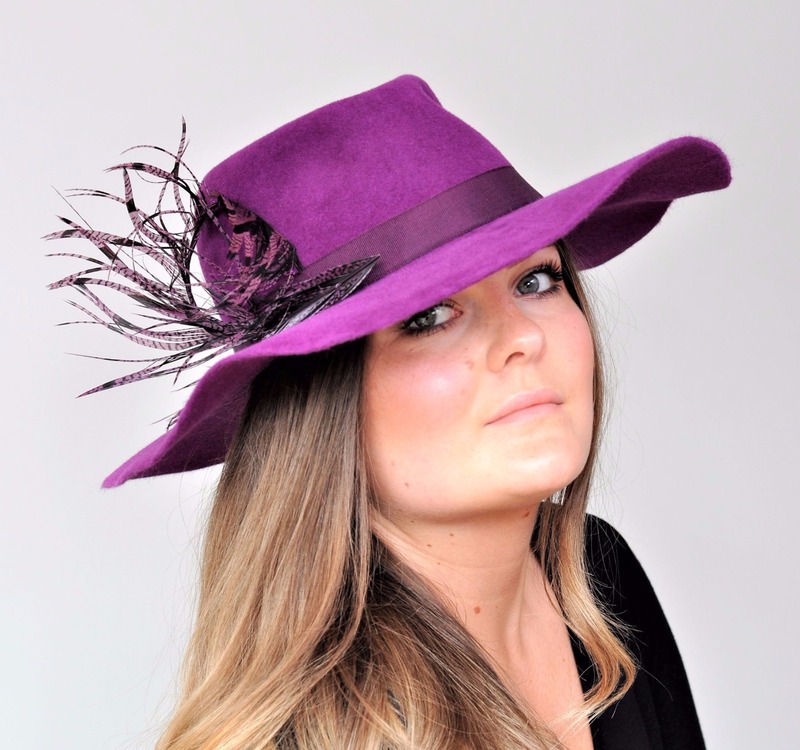 This beautiful statement piece is trimmed with a tied purple feather detail. This hat can be made in a variety of colours. PEARL ~ £150 ~ Gorgeous black wool felt pillbox hat with pearl clusters and bow trim. This stunning piece is perfect for a winter wedding. COREY ~ £155 ~ Two toned grey bowler with a modern twist. 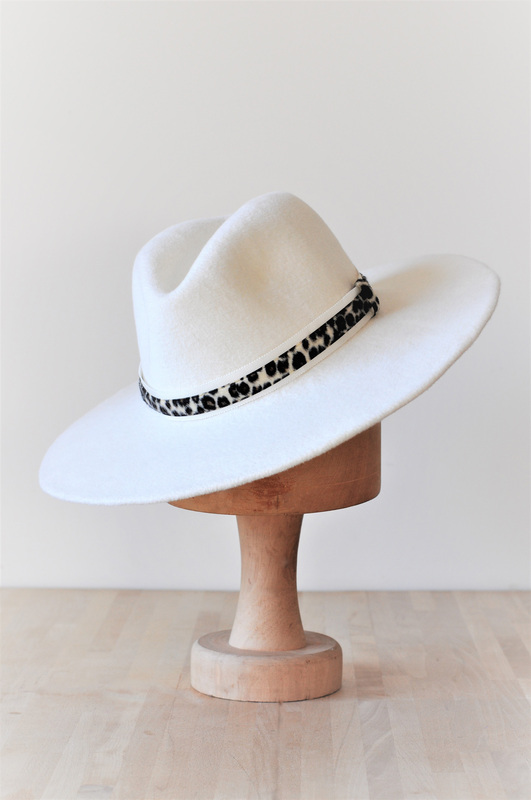 Made in a soft fur felt trimmed with a simple black band. 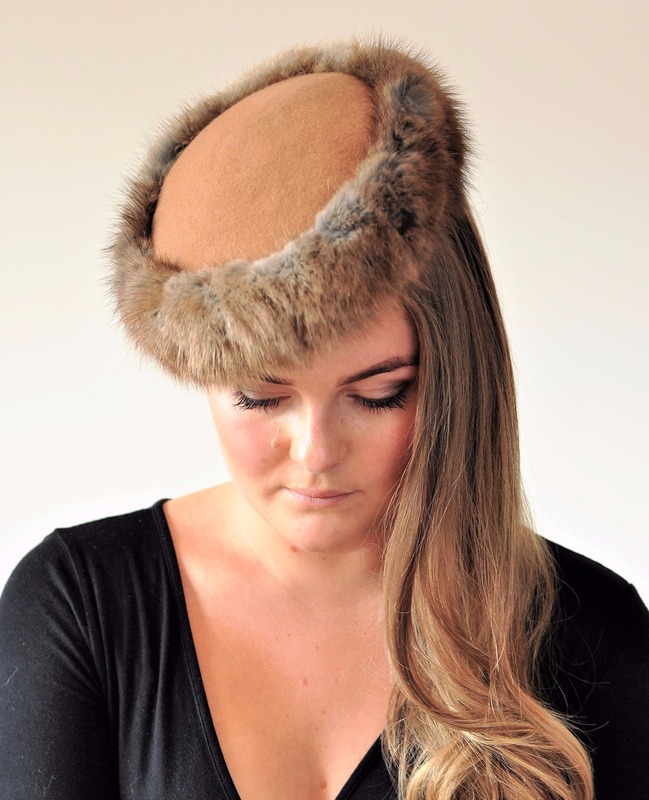 SAFFRON ~ £165 ~ Simple tan button percher in wool felt trimmed with soft vintage fur. This classic hat can be an amazing occasion or stylish every day piece. 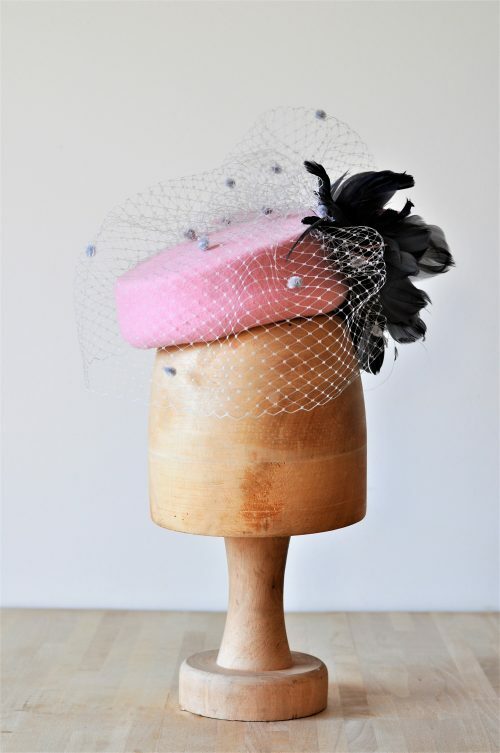 SHEBA ~ £150 ~ Pretty pale pink wool felt pill box hat with slanted crown. Beautifully trimmed with grey feather flower and pale grey veil. 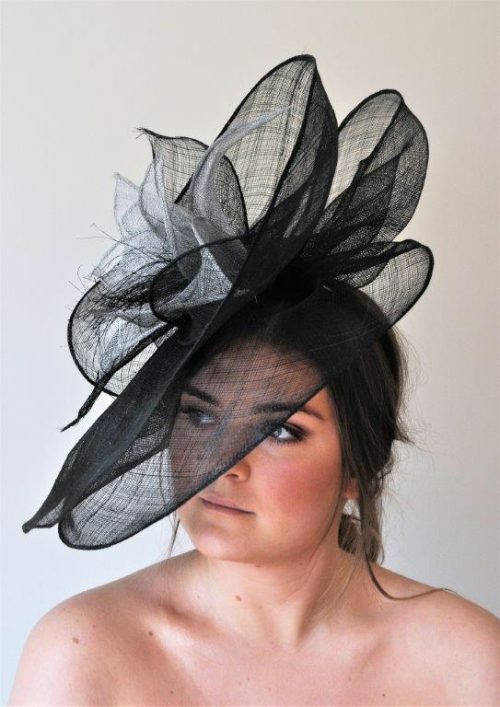 The perfect elegant wedding head piece. Contact me for other colours. 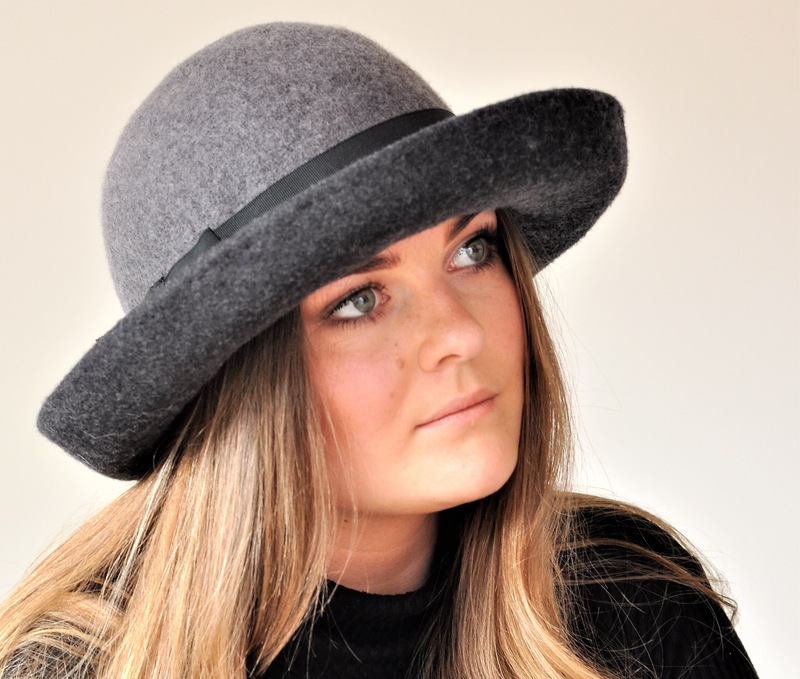 RHIAN ~ £125 ~ Simple black trilby style hat in soft wool felt. 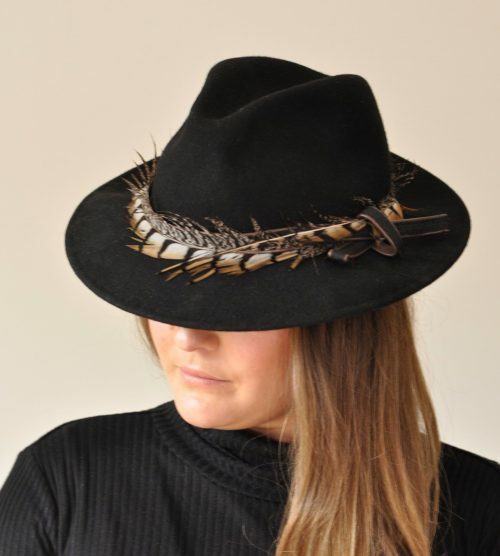 This stylish hat is trimmed with Black and Tan feather band. Can be made in other colours and trims. 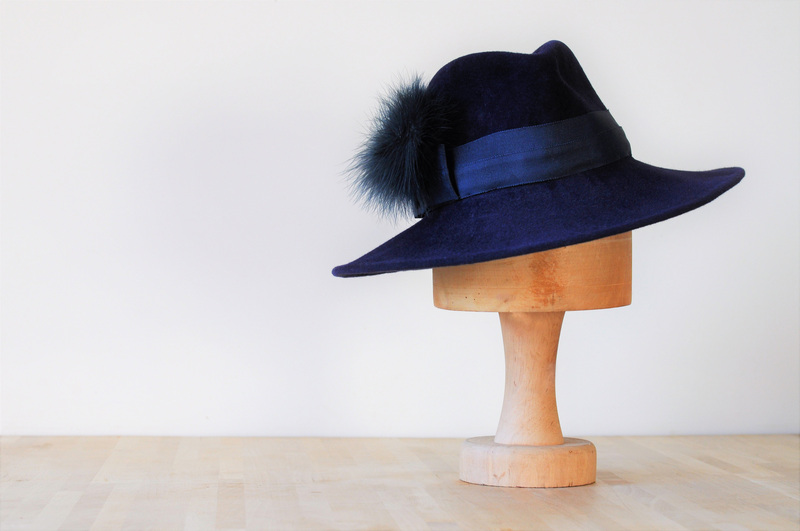 THEO ~ £155 ~ Sumptuously soft midnight blue fedora with simple band and maribou feather trim. Contact me for details of other colours available. CLEM ~ £125 ~ Cream wool felt floppy hat with round crown and feather trim. Available in other colours and trims. ANYA ~ £155 ~ Luxuriously soft fedora in mink, trimmed with cream and mink band. Simple, understated style. Available in other colours, contact me for details. 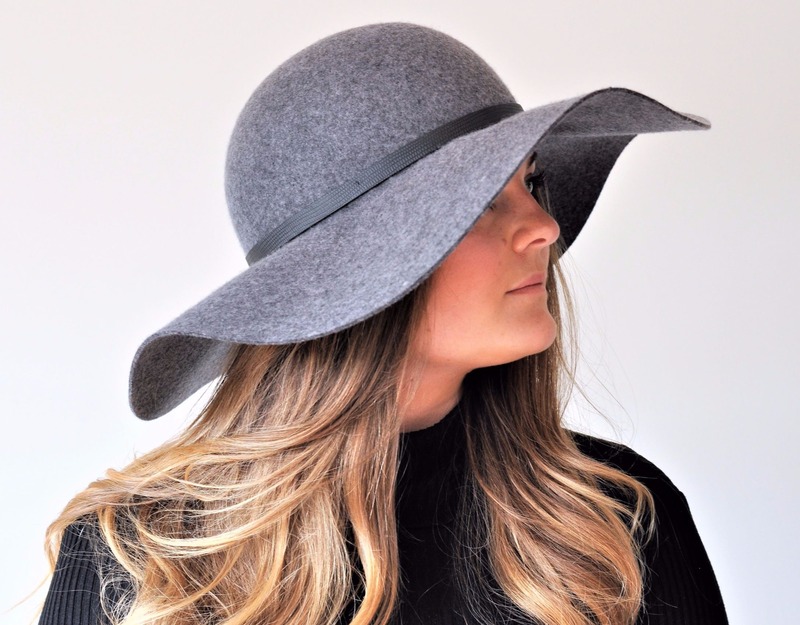 MATAO ~ £125 ~ Beautiful grey soft wool felt hat with a floppy brim and round crown. 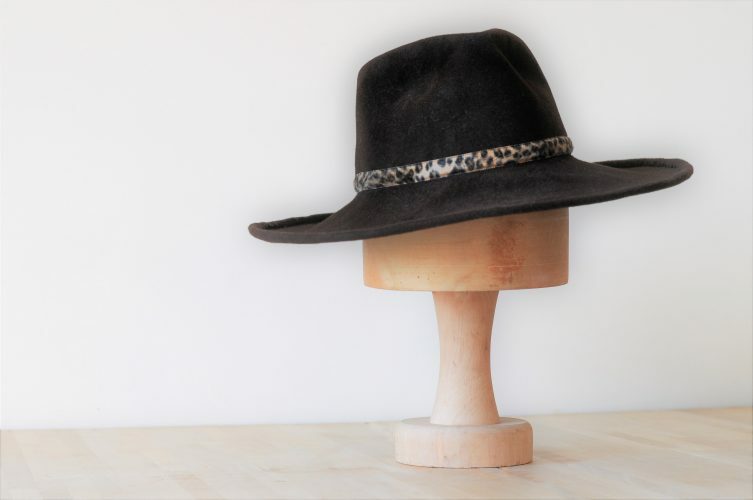 A stylish hat that looks simply stunning for every day. SASSY ~ £155 ~ Ivory fur felt fedora trimmed with a faux fur animal print band. A stunning statement piece. 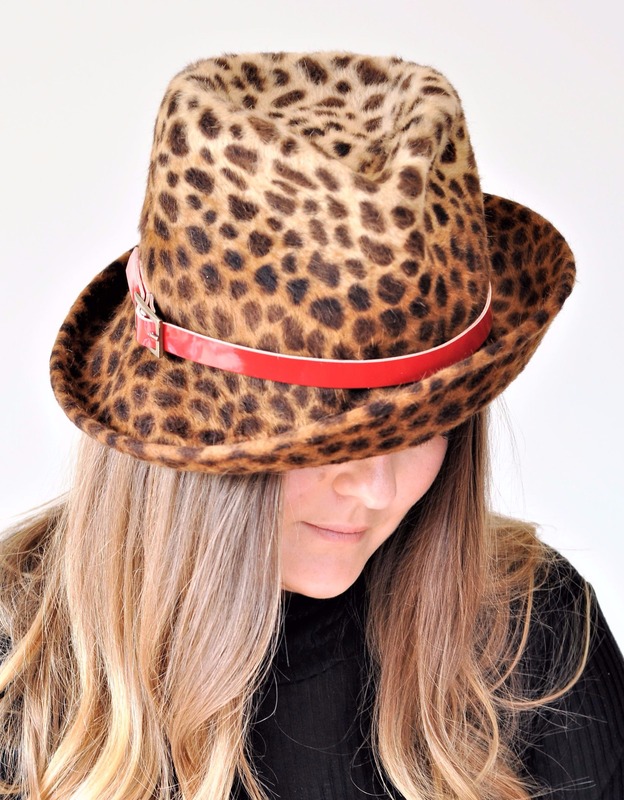 MAIA ~ £145 ~ Funky leopard print trilby in a plush fur felt with an upturned brim on one side and red trim. Make a statement in this fabulous one off piece. 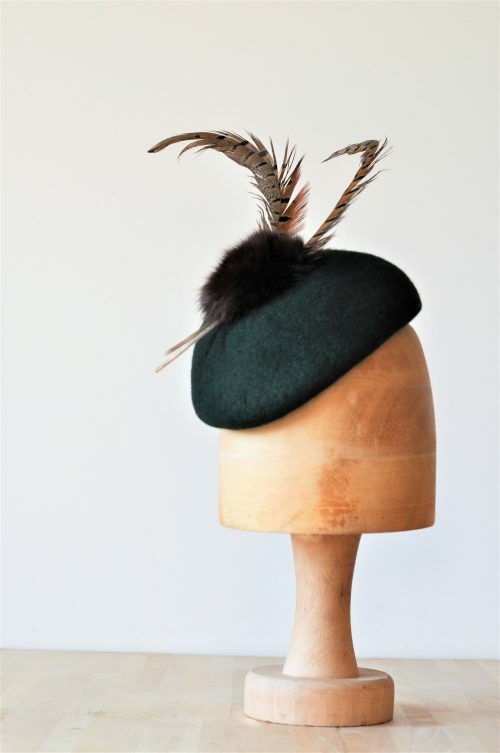 TAMMY ~ £150 ~ Fabulously stylish green beret in 100% wool felt. 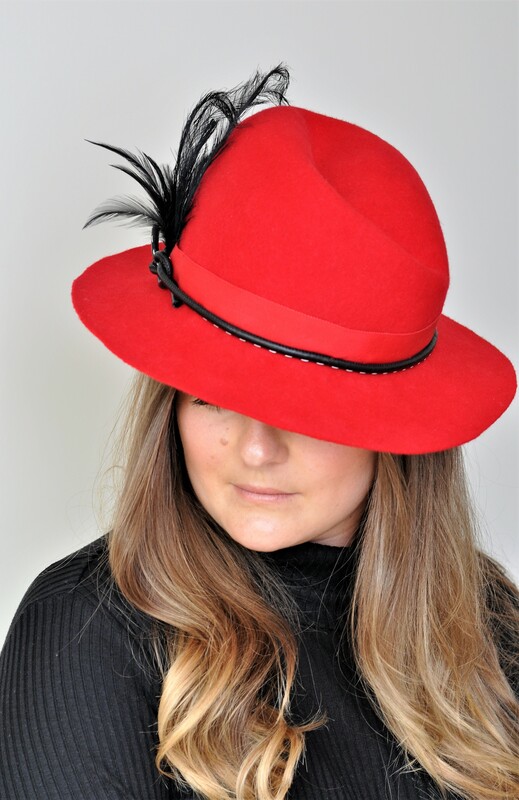 This elegant hat has a vintage fur Pom Pom and pheasant feather trim. REN ~ £125 ~ Beige and black snake print trilby in soft wool felt with leather string band for that stylish winter look. 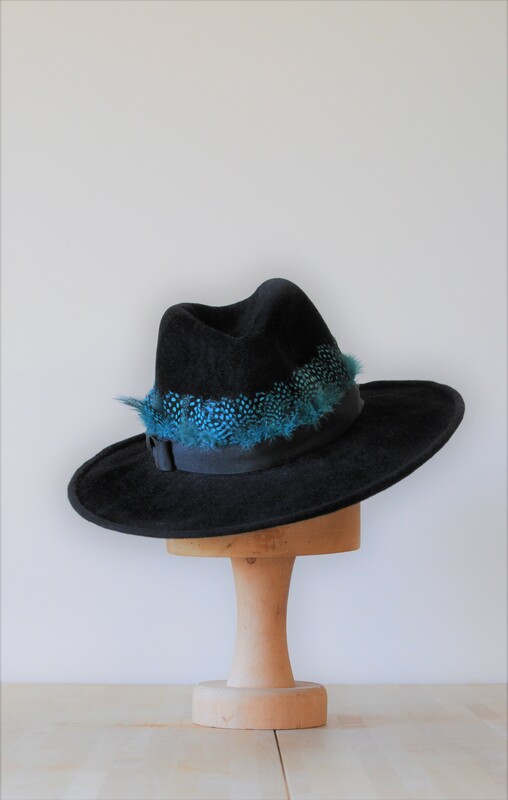 ISOBEL ~ £155 ~ Soft fur felt fedora in luxurious black with turquoise guinea fowl feather band. Everyday style available in other colours. 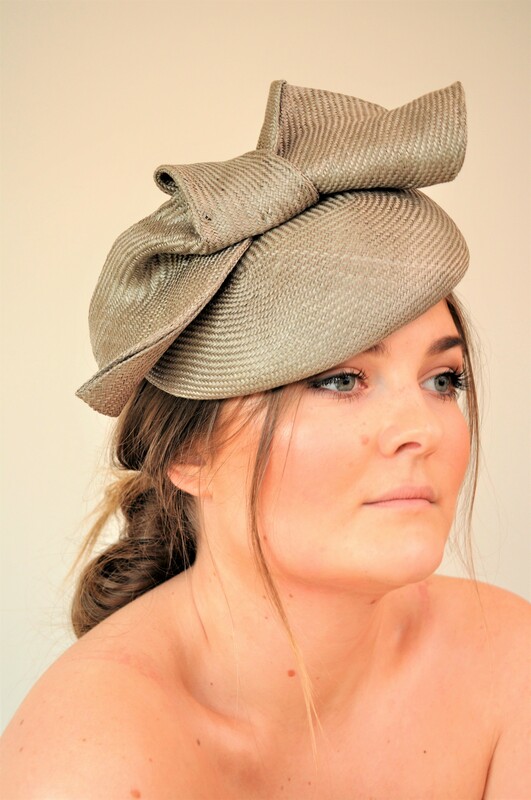 GRACE ~ £ 110 ~ Elegant pale olive green, fine straw beret style hat with matching folded bow trim. Very stylish and easy to wear, can be made in any colour. 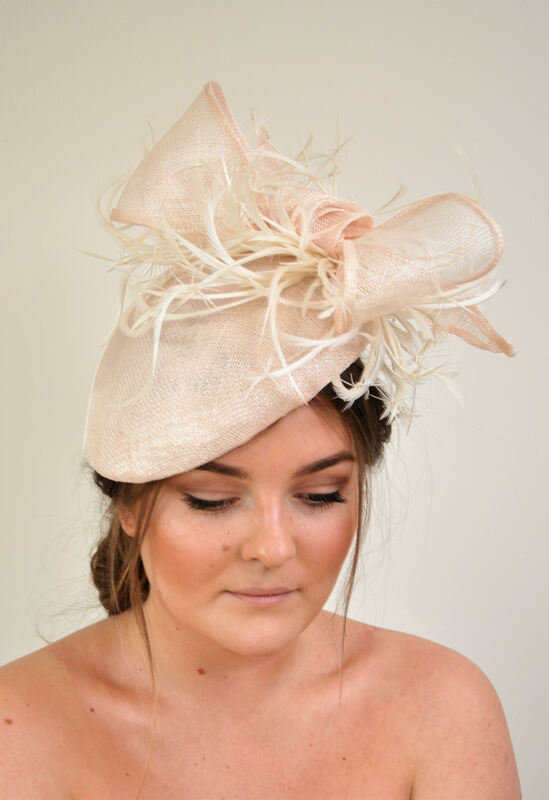 MALI ~ £110 ~ Pale pink dupion silk button percher, silk lined with grey quill trim. Can be made in any colour. 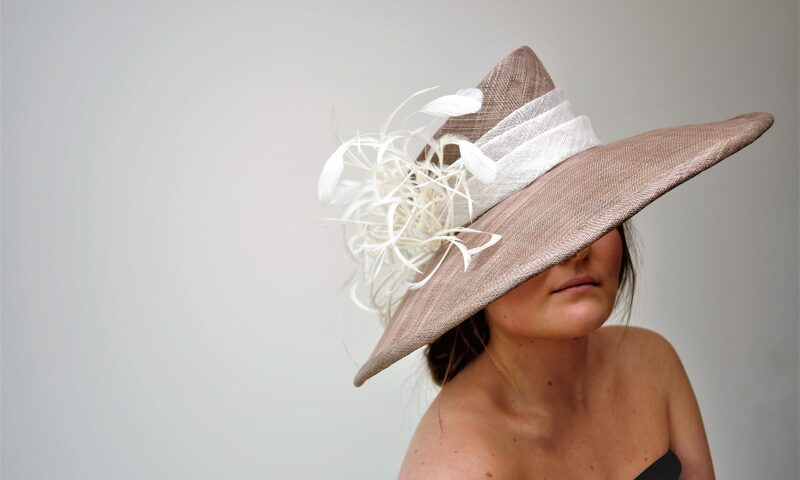 CELINDA ~ £65 ~ Straw button percher, subtle chic. Can be made in any colourway to work with your outfit. 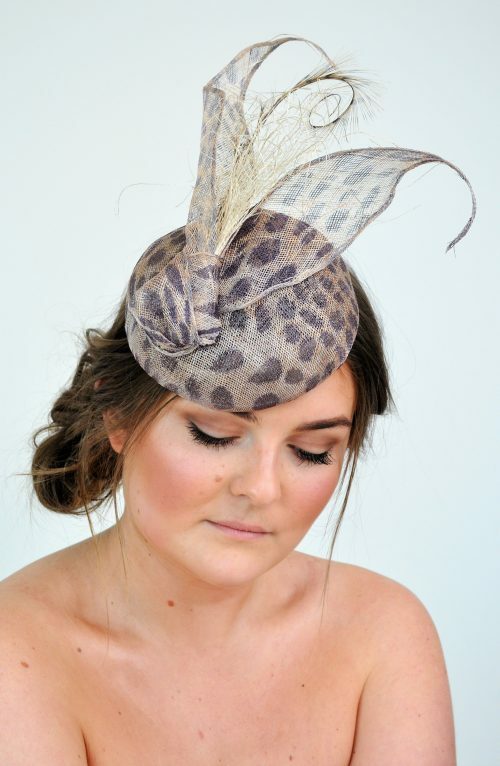 AMISI ~£100 ~ Small round button percher in animal print sinamay, small and very striking. LILITA ~ £110 ~ Cappuccino sinamay oval percher with draped sinamay trim. Can be made in any colour to compliment your outfit. 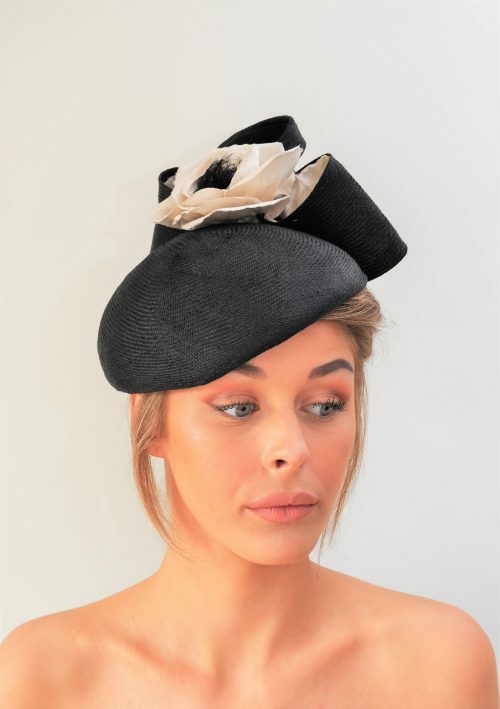 COCO ~ £110 ~ Black beret style hat with handmade cream silk flower and black bow trim. Elegant and stylish. 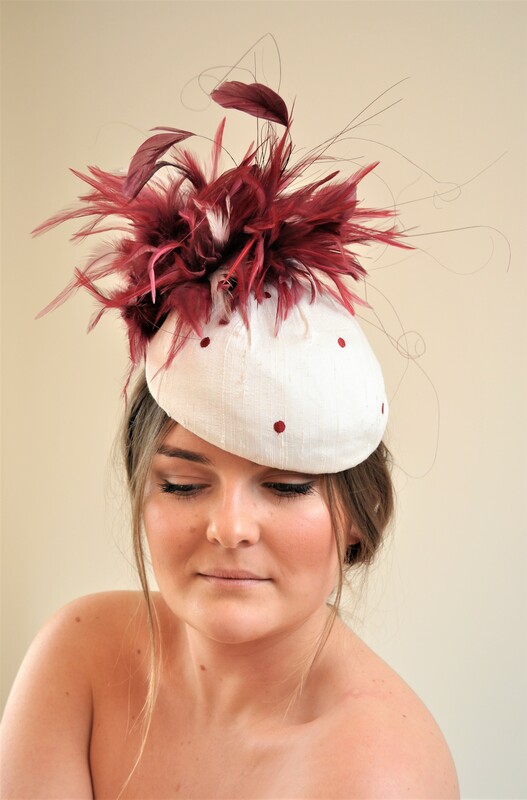 FREYA ~ £75~ Cream dupion silk with burgundy dots and feather pompom with silk lining, reduced from £120. 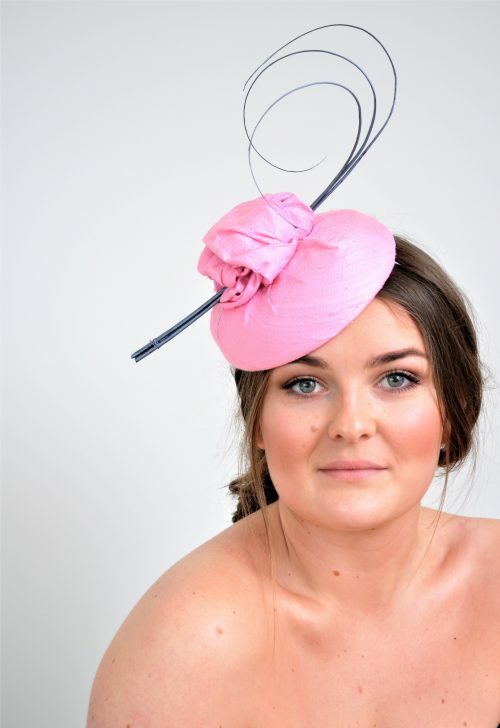 FELISA ~ £130 ~ Pretty shell pink sinamay beret style hat with knotted biot feather and bow trim. PARIS ~ £60 ~ Cute red and black straw button percher, chic with a french feel. 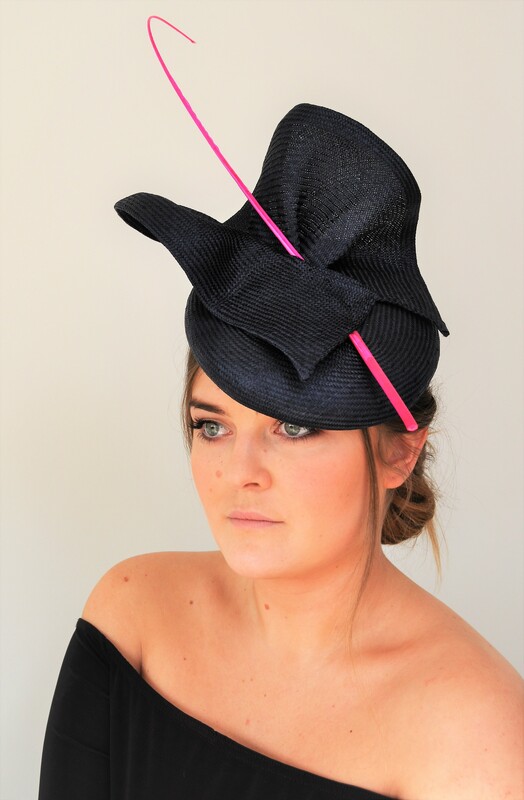 FIORE # £110 ~Navy fine straw large button hat with matching swirl trim and bright pink quil. Can be made in other colours to compliment your outfit. 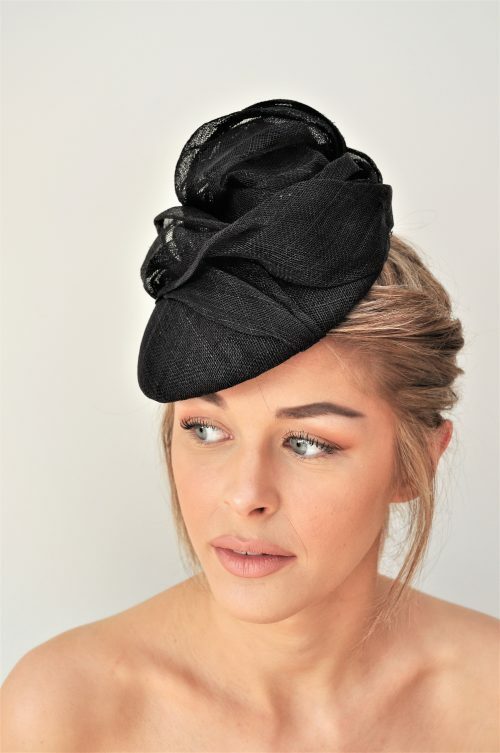 LILY ~ £110 ~Black oval sinamay percher with knot and draped sinamay trim. A variation on the Lilita. 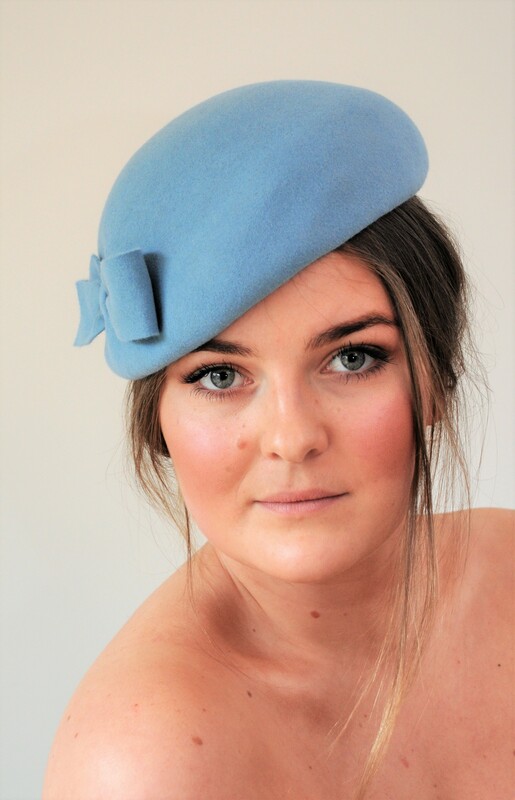 MARCELLE ~ £110 ~ China blue fur felt chic beret. Can be made in any colour or fabric with various trimmings, or how about stylishly plain. 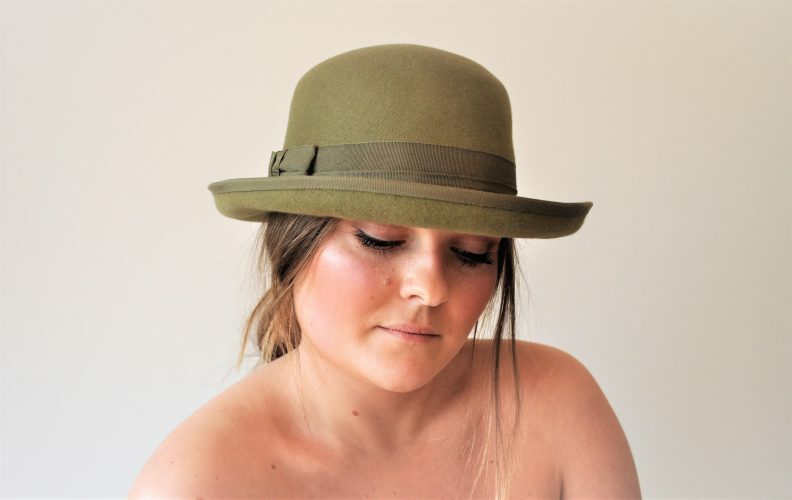 ROMY ~ £120 ~ Olive green fur felt bowler style hat. 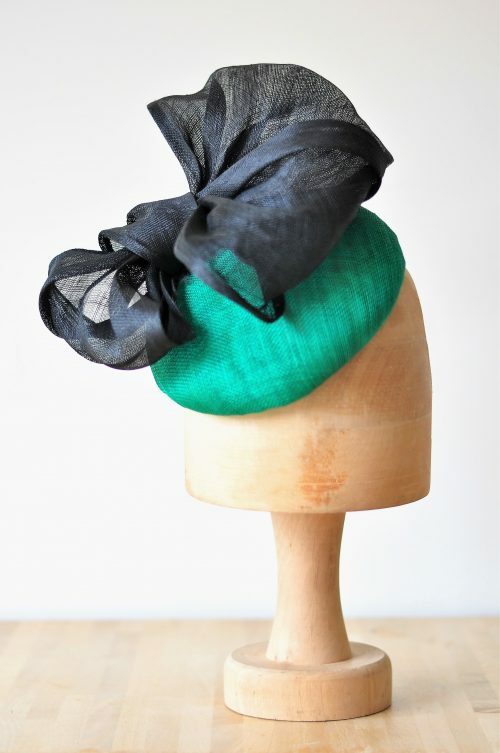 Fabulously stylish and can be made in any colour. Every day is a hat day! YASMIN ~ £130 ~ Bright yellow fine straw hat with black silk trim and bird cage veil. 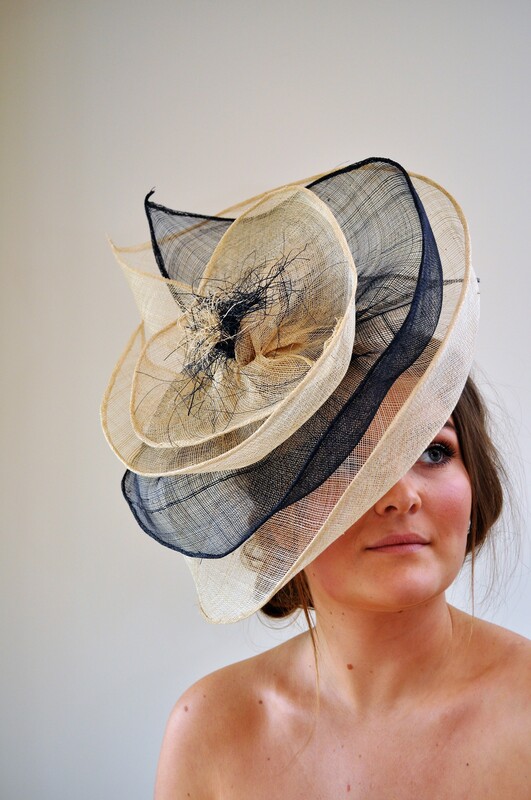 This beautiful hat certainly has a vintage feel and would be perfect for The Goodwood Revival! CAMEO ~ £150 ~ Pale blue dupion silk pill box hat with silk lining. 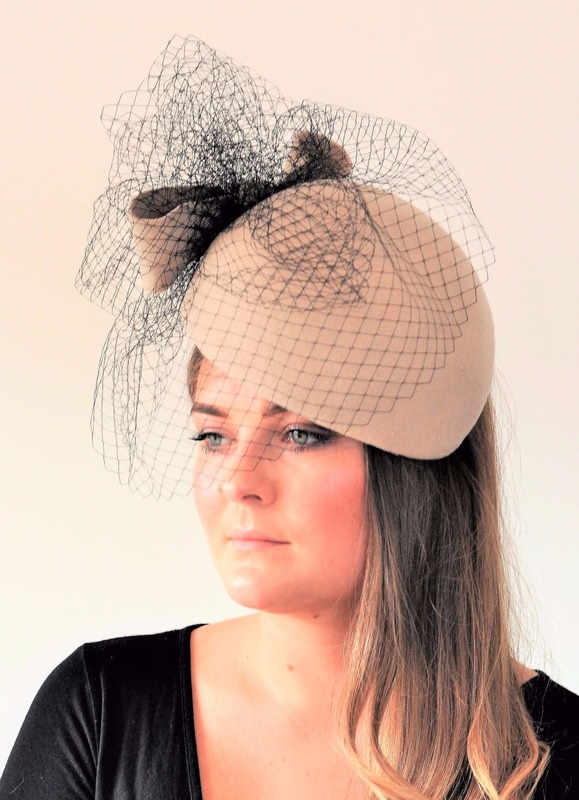 Fabulous for a summer wedding but would also be great at The Goodwood Revival. 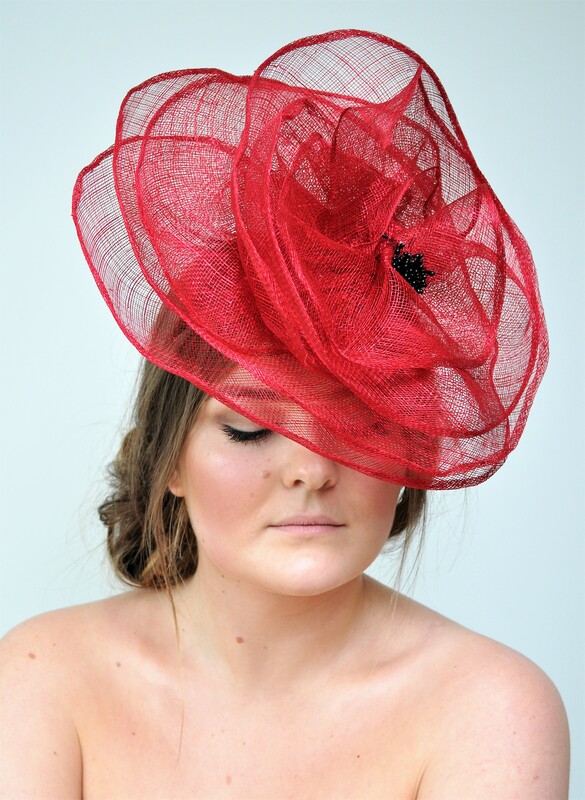 POPPY ~ £90 ~ Stunning red sinamay flower fascinator, very light and easy to wear. Can be made in any colour. 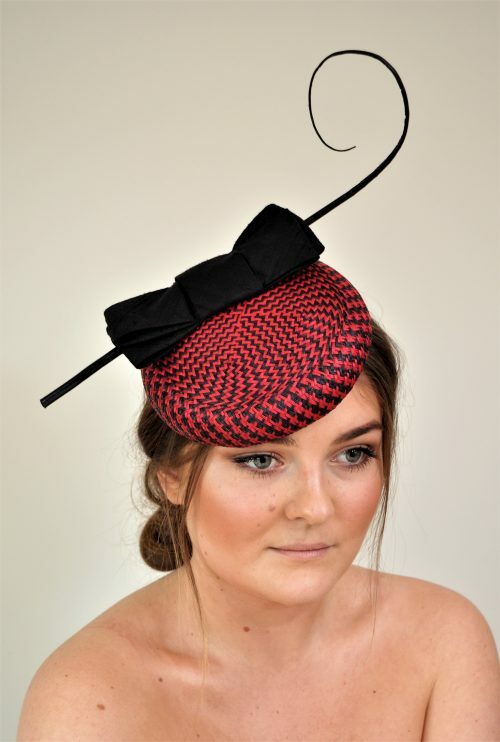 ROSETTA ~ £ 120 ~ Stunning black and red double rose fascinator. Maximum impact but light and easy to wear. 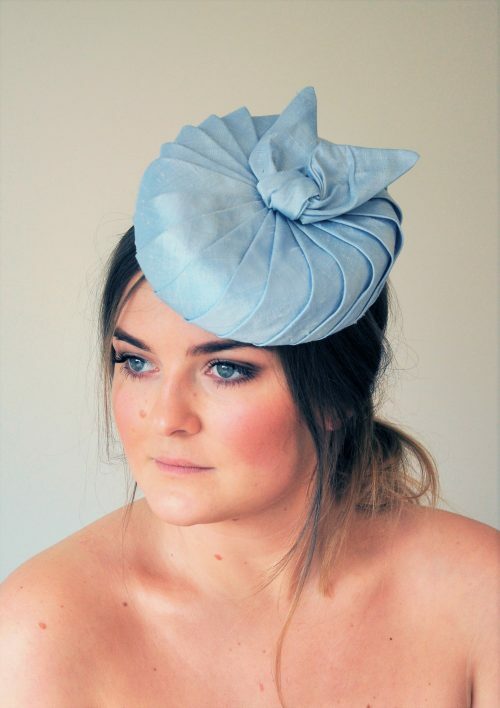 EDIE ~ £95 ~ Navy and cream flower inspired fascinator on a cream button base. This item can be made in any colour. 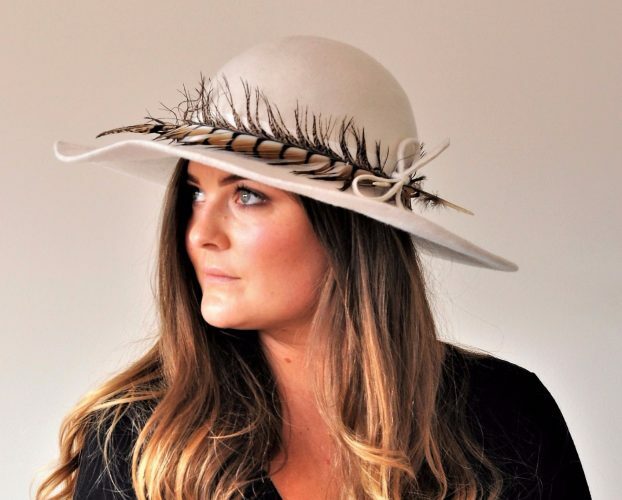 THALIA ~ £170 ~ Stun ning large brim hat with slanted crown and burst of cream biot feathers. 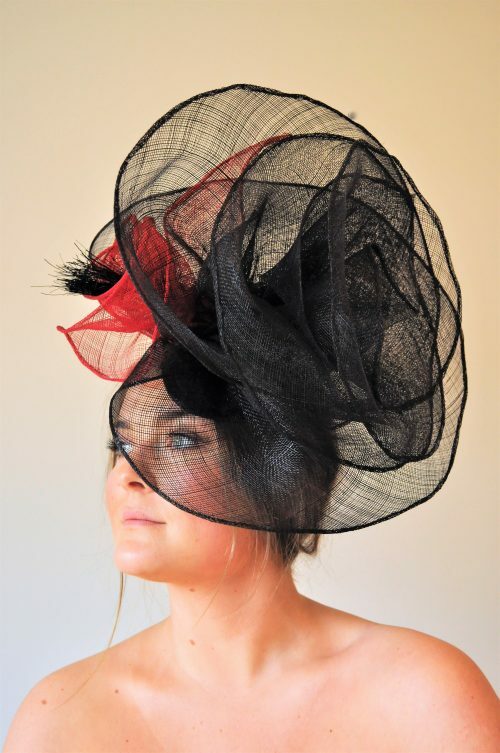 Perfect for a day at the races or summer wedding. Can be made in a variety of colours. 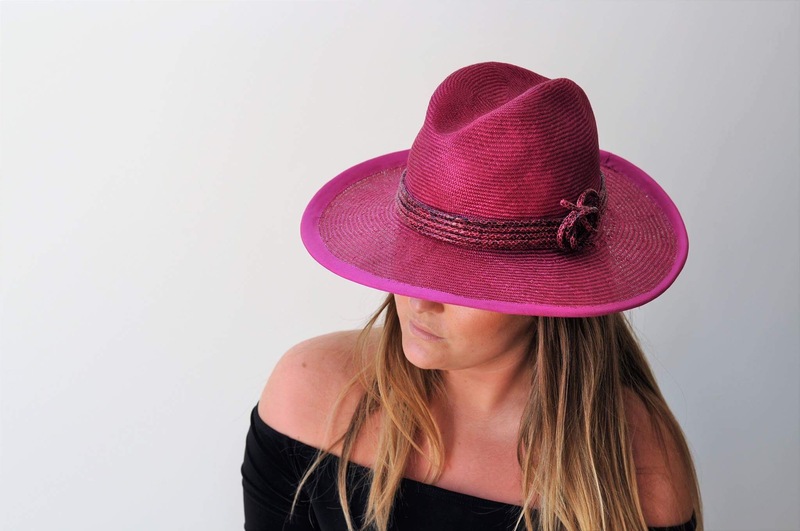 FIRENZE ~ £ 140 Fabulous pink straw panama style hat with snakeskin rope band. Available in other colours. 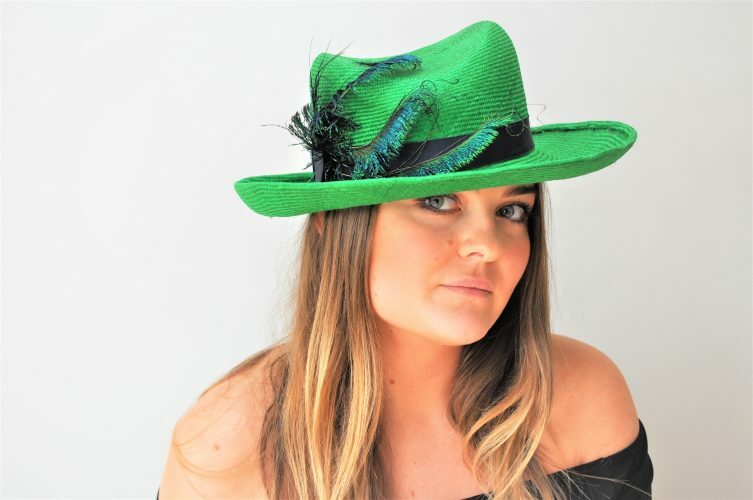 PAVONA ~ £130 ~ Fabulous green straw panama style hat with curled peacock sword trim. Can be made in a variety of colours and trim. 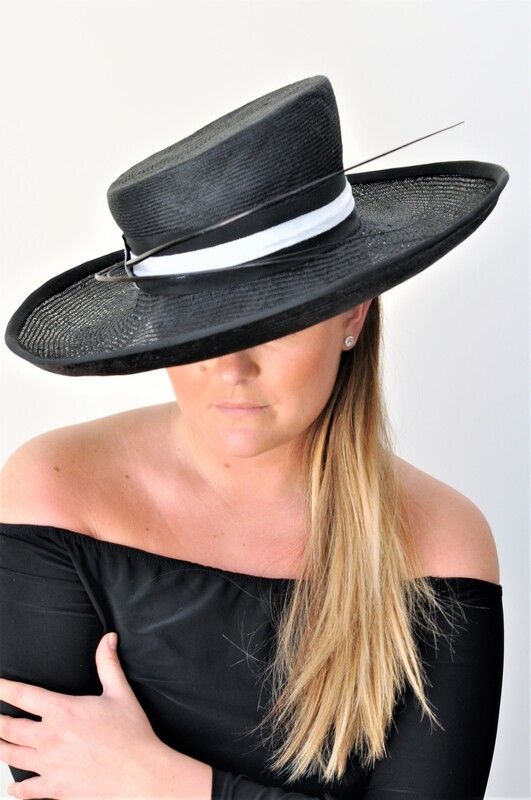 ROSITA ~ £130 ~ Black fine straw hat with slanted crown and slightly upturned brim. Understated style for any occasion. AYANA ~ £85 Simple black oval percher hat with delicate coral crin flower. Can be made in other colours. 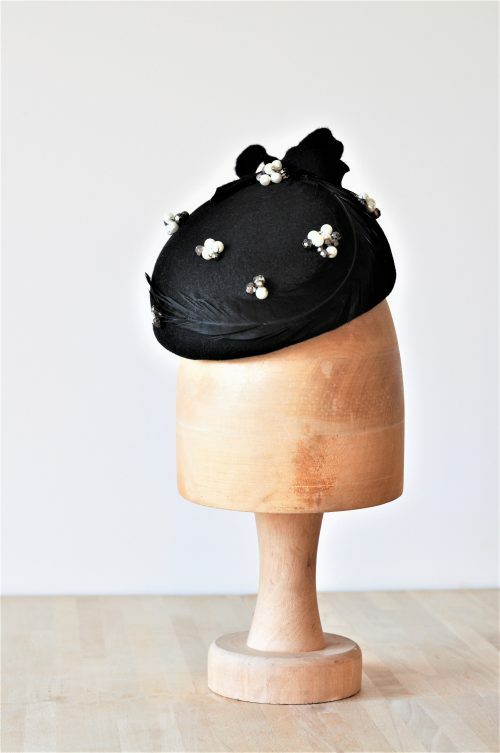 HUHANA ~ £100 ~ Black Sinamay Fascinator with handmade flower in silver grey. Can be made in any colour to compliment your outfit. 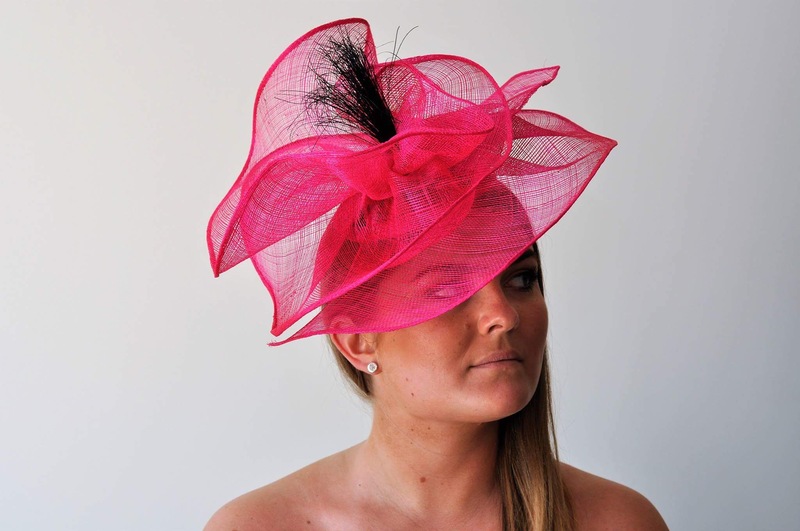 PINK POPPY ~ £95 Hot pink poppy fascinator, a jazzy version of the "POPPY". Can be made in any colours to work with your outfit. 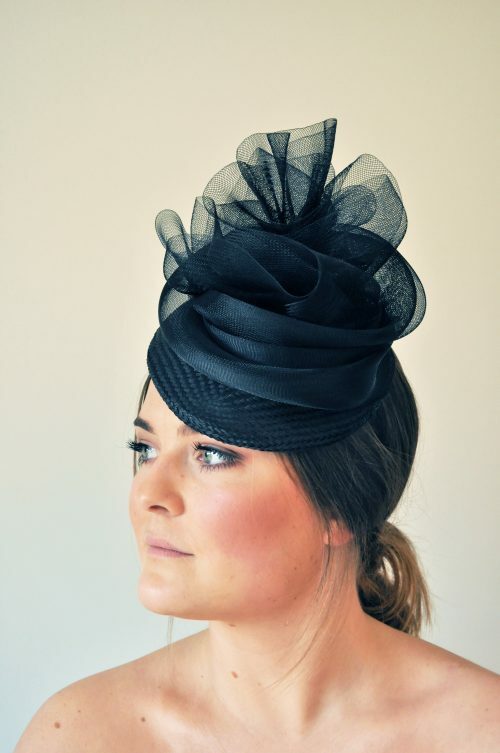 JACINTA ~ £100 Black large upturned brim hat with slanted crown trimmed with a black and white band and toning quills. 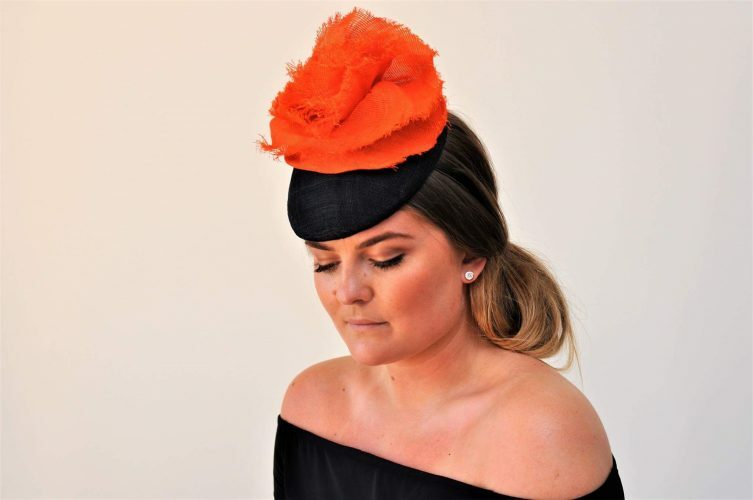 FIRECRACKER ~ £110 Black oval percher with bright orange frayed silk abaca trim, simple but stunning. 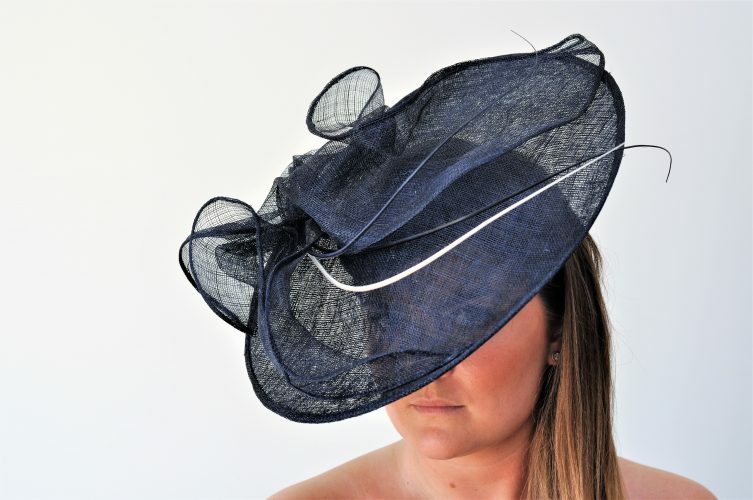 SENNA ~ £110 Navy sinamay side saucer with matching trim and navy and white quills. This stunning piece can be made in any colour to complement your outfit. 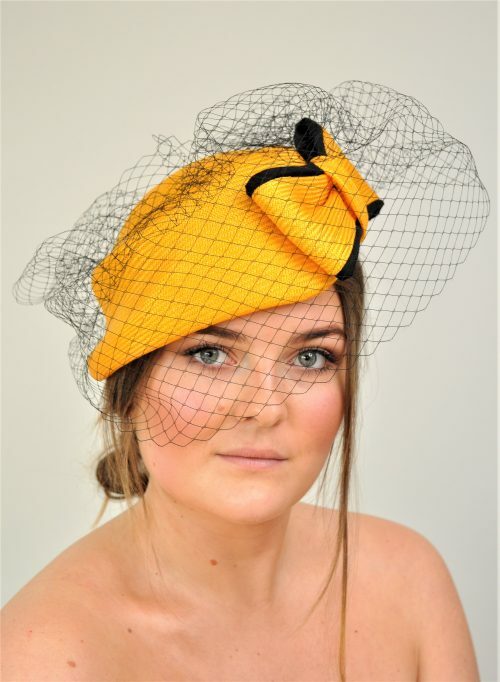 All the hats and headpieces on this site are for sale or can be recreated in a different colour or variation in design if desired. 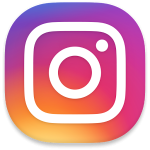 I am always updating and adding to my portfolio so keep visiting my website and follow me on Facebook and Instagram to see new designs. If you would like to purchase or would like to commission a bespoke piece, please email or call me to discuss further.